Good-bye dry skin, hello hydration! 48.2 g Net wt. 1.7 oz. Give your skin what it thirsts. Bring on the bubbles...suds up that complexion for a clean slate prior to moisturizing. Gently apply the cream to face, neck & décolleté. If your complexion requests another round, let ‘er sip...especially during dry winter months or fresh outta the shower. Start with moisture prep toning lotion for A+ absorption. I love this moisturizer! Leaves my skin fresh and silky smooth! I found that this product really worked well with my skin! it didn't break me out and it left my face so smooth and I have naturally really dry skin and its helped so much. 100% recommend to everyone and will be repurchasing but would pick up sample before full use just to make sure int works for your skin. I have every skin complaint under the sun: acne, eczema, rosoacea, I could go on. I never thought I'd find something that would help with every single problem I have and yet here it is. This moistuiser seems to even out my skintone and make me less red, my dry skin is non-existent even in winter and while it's not going to cure my acne, it helps the scars to heal faster and my skin and texture look healthier overall so my spots are less noticeable. I cannot rate this highly enough, I am in love with Total Moisture! This is surprisingly not what I expected. It does moisturizes the skin very well but you do have to apply generously which was the down side. I wouldn't use it for daytime since you do have to use a lot of it to be able to cover the face but like I said it's great for nighttime. I have dryness on the tip of my nose and on my forehead. Although I am oily on the sides of my nose. It is hard for me to find moisturizers that fix both problems and doesn't make my face greasy. This moisturizer is oil free and it works out perfectly for me. You do have to use it consistently for it to work, I apply it every night before bed time and I have noticed a huge (positive) difference! Make sure you wait 10 minutes for it to dry, it is a moisturizer so it is supposed to feel wet at first (it is not oily I promise), just be patient and let it sink in to your skin. At last my search is over! Over the years I have tried every moisturiser I could get my hands on. From inexpensive, to silly expensive, and I have been disappointed with every one. After reading reviews for skin care for dry skin I noticed that Benefit's Hello Flawless foundation was recommended so I bought some. After being highly delighted with that I thought I'd give this moisturiser a go, and WOW!!! I have never felt anything so gorgeous, and so soft! My skin feels amazing. It is so moisturising and feels fabulous on my skin. I use this, follow with Porefessional primer and Hello Flawless foundation, there is no 'roll' or bits coming off and my skin looks as great as it possibly can. I am a real Benefit convert! I only wish I had tried it earlier! Okay I am not kidding when I tell you that this product alone cleared my skin... crazy. I don't have acne, however, when I get the occasional pimple, I always go crazy on my face and pick at every microscopic blemish I could find. I also never wash my face because I'm super bad with sticking to routines. That said, I needed something to brighten up my complexion and clear some of the scabs and scars on my face. This product was recommended to me by two of my friends who also had the same results as I did. I really think you should invest in this product if you're like me and need a simple, one-step skincare regimen. I have really dry skin and did have a lot of blemishes and spots until I started using this. I haven't used a moisturiser that has made me say WOW other than this. I don't know what I would do if I ran out of this product. I've already purchased a backup. I just love it. I absolutely love this stuff! I've never used a moisturiser that has been so hydrating for my skin. I use this after using foamingly clean facial wash and find that it has really cleared up my skin! Bonus is that it smells AMAZING. I have dry and somewhat oily skin and finding a moisturizer has always been difficult for me. Either they have oil in them, or just really don't moisturize like I would want a good moisturizer to work. I'm relatively new to Benefit Cosmetics, but I absolutely love all of the products that I've used so far. I was a bit iffy on trying this product, due to the price, but now that I have, I AM IN LOVE. I've never had a moisturizer that has worked so well with my face. My skin gets so dry and flaky that it seems like nothing can help, but this stuff does wonders! I HIGHLY recommend!!!!! The smell gets me every time! I love everything about this facial cream. The smell alone just puts me in a great mood. I have a small mountain of the free sample creams because I don't want to dig into my big jar! It looks so pretty untouched :) I love the sturdy feel of the packaging (just like Apple products), along with safety seals to ensure quality control. I got this in a Benefit 'b-right!' minis kit and this is a great moisturizure. It's particularly good for night, as it is very rich and gives your morning skin a plump, dewy look. Love this moisturiser. Best one I've come across, incredible for dry skin the most moisturising cream I have found so far and my skin hasn't felt dry since! I have suffered with extremely dry skin for a few months now for the first time ever, having before had very oily skin. I have tried so many moisturisers and eczema creams specific for my dry skin however none of them compare to this moisturiser by benefit. It has saved my skin from the peeling and painfully dry skin it was and has transformed it. I have repeatedly recommended it to my friends and am amazed at how it is better than my prescribed eczema cream! Spent all of last winter looking for something that could hydrate my skin (gets very dry in the winter). Went through so many products, then thought I'd give this a try, and it was just perfect. Incredibly hydrating. Worked all day, and my face felt more plump and healthy. A little pricy, but I thought it was worth it after spending less money on less-effective products. I've read reviews saying that it's "too oily!" but I suspect that those who have normal to oily skin said this... If this is your skin type, this product might be too much for you. And it will be in the summer for me. I have very fickle, sensitive skin. It becomes very oily in my T zone, yet in the winter my skin becomes very dry and flaky. I have tried countless moisturizers to try and fix this and nothing worked, until my mom recommended this product. It is amazing, it instantly quenched and repaired my dry and flaky skin. It is very thick, but surprisingly light when applied! Even better, it keeps my skin moisturized even after I apply my makeup, unlike others that would make my peeling skin look very obvious. As for my oily skin, it has improved, after moisturizing I use the Porefessional then apply my makeup and I'm ready to go! I definitely recommend this product! I have a combination skin. I been looking for a perfect moisturizer for sooo long. Most of it either will make my face itchy or make my face to oily except for the current one I'm using, Estee Lauder. But bought this Benefit Total Moisture Facial in a travel size when I was in London to give it a try. My, my it was awesome! Gonna get the full size. And I even recommend it to my sister who which also loved it! I suffer with extremely dry skin, but I've been using this for under a week and already it's turned my skin from dry with rough patches to silky n smooth skin! AMAZING!!! I have very dry skin and I breakout very easily. I have been looking for a moisturizer that would work for me for a long time. Either it wouldn't be moisturizing enough, or it would make me breakout. I got this in a sample size and I now plan on buying the full size because I love it! I have used everything including very high end skincare lines. I have combo skin with occasional breakouts. This is the best my skin has looked in years. I got the kit with the smaller sizes free with my makeup purchase and I'm sold!! This stuff is worth every penny! This is much better than I imagined it would be. I decided to make the move from the moisturiser in a bottle because its ridiculous design flaws but was concerned that this thicker cream would be greasy for a day cream, but I have been pleasantly surprised at how good it is and definitely not too thick for a day cream! Phew! It smells divine, you can get it all out of the tub and it is beautiful on your skin. Hurrah! I cannot say enough good things about this product. After years of switching back and forth between moisturizers that never did the trick, a sales associate at Ulta sold me on this one and it is to die for! It smells heavenly, soaks right into the skin with no oily residue, and lasts all day (and night). Perfect for my combination skin. The Best Moisturizer although pricey.. I'm a dark skinned African American woman and I have always suffered from Sebaceous Dermatitis for most of my life with Dry-Combination skin. This moisturizer is TOP DOG for me ; It keeps my face moisturized, smooth, soft to the touch all day long..NO NEED TO RE-APPLY 98% of the time (unless i have a minor flare up) However, DO NOT use too much of this (unless you truly has VERY DRY skin) because it will make your face oily; a little goes a VERY VERY long way thus the product can last you a VERY long time! Since it is now summer, I use it only at nighttime after I wash my face and it keeps my face moisturized a hydrated all through the night and the next day...sometimes for couple of days without cleansing my face. This is a FANTASTIC and a MUST BUY moisturizer if you are looking for "TOTAL MOISTURE" all day and night. I've heard great things, but for me not so much. I have dry skin so I thought it would become my holy grail, that was not the case. It was really heavy and no matter how little i put on my face it just sat there. I also noticed that while using this my foundation just kind of slid off and didn't stay matte. Its probably a great product for some people but definitely a product I won't purchase again. I received a free gift of mixed skin care. I have since purchased a full size of this moisturizer. Look, different things for different people. This product smells gorgeous, is moisturising without having an oily after shine and lasts ages. My mini sample lasted 4 weeks and I used it every day. I heard nothing but great things about this moisturizer from my local Ulta associates (whom I trust very much). I got a smaller size and a few samples as birthday gifts and gave it a shot, thinking it would be my new holy grail. The exact opposite, though. This product broke my skin out. My skin is not one to respond that way to products, I typically only break out around my monthly. I don't know what it was about this product that did it, but it surely did not work for me. This lotion is fantastic at night or in the morning! Relieves dryness, makes my skin feel hydrated, and the smell is very pleasant. The only facial lotion I use! I have finally found something that is very moisturizing, goes a long way, and not oily. I love this moisturizer. I get a lot of compliments to my skin and always mention that I use this. I tried it out when I got the radiance skin care sample set for Christmas and have been saved up to buy the big version. Very pricey, but definitely worth every penny! I think this product is amazing! Pretty expensive, but totally worth it. It smells so good and makes my skin soft. I love this stuff! I use it morning and night. Not only does it make my skin super soft, it also smells AMAZING!! I have combination skin and this moisturizer is my happy medium. It doesn't make my skin oily nor does it worsen breakouts, but it does soothe my skin. I would recommend this to everyone with all skin types. I suffer from psoriasis so the skin on my face is very dry, this is brilliant for me no dry patches to be seen. I've been using this every morning for the past month and it's worked for me so well. My skin can get dry at times and this just boosts everything back up again and my face feels hydrated and amazing. 10/10, definitely recommend! This facial cream is great for my skin in winter. It is very hydrating and is easily absorbed into my skin. Find it a bit too heavy though in the warmer weather. I have dry and extremely sensitive skin but this product loves me. I have used other products for the "youthful" "anti-aging" agents thinking that I would be "okay" but I usually tend to break out in a rash. Three times I have tried other products after this one and after I have a break-out, this product is the only one to soothe my skin. I LIVE IN MICHIGAN WHERE THE WINTERS ARE REALLY REALLY HARSH! I WENT TO MACYS AND PRACTICALLY TRIED ALL THE MOISTURIZERS THEY HAD ONE DAY, ONE HAD A WEIRD SMELL, THE OTHER LEFT A WEIRD FILM ON FACE, SOME IRRITATED MY SKIN EXCEPT THIS!! OUT OF ALL THE COUNTERS I TRIED NOTHING FIT MY FACE LIKE THIS CREAM, THE JAR LASTED ME ABOUT 2-3 MONTHS AND I JUST RESTOCKED ON IT FOR THE SUMMER, THERE IS NO SMELL OR WEIRD FILM ON YOUR FACE. MY FACE CRAVES THIS STUFF IF I DONT HAVE IT ON. WORKS FOR ME ALOT OF PEOPLE TOLD ME I WAS OVER PAYING FOR NOTHING BUT I BEG TO DIFFER THIS STUFF IS GREAT! I've used different moistures before but this one has been the best! As others made my skin really dry but this one made my skin feel smooth and refresh and I just love it. This moisturiser is the real deal!! It smells amazing and soaks right in leaving skin feeling perfect! It works really well as a primer too!! Love it!! Love for the harsh winter winds! This moisturizer is a wonder at combating the dryness of delicate skin during the winter! It's heavy + thick, so I prefer to use at night before bed or on a "light makeup" day, but oddly enough, it isn't too much for the face. Love this miracle working moisturizer! This is terrible. It is oily and greasy. It doesn't absorb into the skin, it just sits on top and as a result all my make up slides off. My skin is now really spotty and dry because it is just not absorbent at all. AVOID AVOID! I can occasionally get oily skin in summer and dry skin in winter. This moisturiser is beautifully creamy without being oily so it hydrates my skin perfectly all through the year. i have clogged pores and love this product within the first 3 days i love this product it makes my skin baby soft. This product isalso great for young skin. Great for my oily skin! I got this moisturizer after I tried it out from a friend who gave me a little sample, and my goodness I love it! I have oily skin and have tried other moisturizers but I would end up greasy within a few hours or in the morning I would be greasy also. But since trying and buying this cream my skin has been soft, smooth, and most importantly to me my face has not been greasy! even when I use it overnight my skin is nice and soft and not greasy. The smell is also great has a nice clean/fresh scent to it. Out of all my benefit purchases this cream is by far my favorite. I have sensitive dry skin and usually use the 'Simple' brand. I purchased lots of new makeup from Benefit and had a free sample of this moisturizer. Wow...!! I was in love as soon as i put it on, a little bit goes a long way, my skin felt moisturized all day and it also acted as a great primer for my foundation. I had compliments from my friends about how great my skin looked, they even said 'i wish i could wear as little makeup as that and still look good'. I don't usually leave reviews for products, but felt like i had to for this, deffo recommend to anyone with sensitive dry skin. I have now bought it after receiving the sample, a little pricey but i know that it will last me a long time! Another great moisturizer from Benefit. My skin is dry for the most part. This cream works very well overnight after cleansing and exfoliating. It is very smooth, smells wonderful, and generally feels wonderful on my skin. When I wake up in the morning my skin doesn't feel greasy like I have experienced with other brands. Definitely a keeper! Most amazing moisture ever!!!! Makes my skin feel the best and just the way I want it to under makeup or at night. I worry when I get near the bottom of the jar that I don't have a new one in the cupboard so I have one being used and another on hand always. Very hydrating, smells great and only need a small amount to do the job so will last a very long time! Great value for money. Had mine last winter and completely used it up! I have very dry skin in the winter that likes to flake so I need something that will combat the dryness. This is that product! I not only love the way it makes my skin stop flaking, allowing me to actually wear make-up, but also the smell. This product is amazing for winter and even spring and summer when my face needs a little love around the forehead and nose before make up application to avoid flaking throughout the day. Definitely worth the money!!! Even though Triple Performing works for my skin type just fine, one day one of the girls suggested I use Total Moisture, since I have very sensitive skin which can be dehydrated sometimes. Since then, I use Triple Performing in the mornings and leave Total Moisture as a night moisturizer. Just a little chickpea of moisturizer suffices to keep the moisture on my skin, since its texture is denser than Triple Performing's. My new Holy Grail product! Oh my! I don't know why it took me so long to eventually try out all the lovely Benefit skincare range, but I'm so glad I finally did! I've been saving up the little free samples of total moisture facial cream for some time now and finally got around to using them all up over the past two weeks. And now I most definitely cannot go back to being without it! This cream is, quite simply, amazing. Before using this I had very dull, dry 'lizard-like' skin. But now I have beautifully smooth, even-toned, glowing skin. It has honestly never looked this good and people keep asking me what products I'm using because the change is that dramatic. Truly cannot recommend this cream enough for dry skin. It sinks in well and doesn't leave behind that greasy film some other heavy duty creams leave. I also have sensitive skin that reacts quite badly to a lot of other products out there so this truly has been a godsend for me. Used in conjunction with Benefit's eye cream I feel like I have completely new skin! The price tag might seem quite steep for a moisturiser, but it really is worth every penny and a tiny dab goes a long way. So if you're a dry skinned lady like me and you're thinking about buying it, just do it! I promise you'll never look back. Please Benefit, never ever discontinue this! Every other moisturizer I have tried is either greasy and/or makes my face break out. I will use this FOREVER. Please never stop making this. A little bit goes a long way so it lasts a long time, it smells so good,fresh and clean, I use it after my showers at night and in the morning before I apply my makeup. My face has never felt so soft. My husband tells me all the time now how soft my face it and I KNOW it's from Total Moisture. I have really dry skin and let me tell you that this cream is a life saver, I don't know how I lived without it, I tried it for the first time today and it's just amazing, a REAL moisturizer! So ladies for those for you who are hesitant like I was because it's a little bit pricey don't be, it is totally worth it. Oh my word, I bought this product very recently after suddenly getting very bad skin problems, my cheeks and forehead were so dry and flaky that I couldn't wear any makeup over it at all, it looked terrible and felt terrible! I had been previously using Clinique Dramatically Different Moisturizing Lotion but it wasn't helping one bit! So after reading fab reviews of the Total Moisture Facial Cream, I thought what the heck, I may as well try it out, and let me tell you, I was in no way disappointed! The difference in my skin was almost instantaneous! My whole face was glowing after one day of using the product! And the packaging is so fab, it comes in a very cute, posh box (perfect for a gift!) and although the glass jar is quite unpractical for travelling, I think it makes the product look its worth! Its not very cheap but its definitely worth it and is cheaper than other high end brand names that have not done a thing for me! The only one down point I have is that because it comes in a jar it is easy to over do it which caused me a few breakouts but after I got comfortable with how much to use and cleared up my spots it was all fine! I cannot recommend this product more! Very happy customer! This facial cream is THE BEST. I have used other big name products, but the Benefit brand, really does the trick. I have dry skin, and live in an area of snow in the winter. This is thick, smells good, and really adds long lasting moisture. I LOVE this product. Can moisturize the driest skin! i love this moisturizer i think its a great cream for the winter months when my skin will need an extra pick me up, its also a great night cream for me. my skin feels so hydrated and soft after i use it. the packaging is also gorgeous as usual. Great product! I've tried so many creams for my dry skin, and the ones that work best usually have the worst smell. Not this cream. It works wonderfully, it's not greasy, and smells divine! I live in Cleveland, OH and this moisturizer has managed to keep my face glowing, supple and soft under 15-20F with 14mph winds. I have normal to dry skin. Once I wash my face, it feels tight and dry, any moisturizer or serum I follow up with usually works for an hour or two before the area around my lips, nose and the middle of my forehead start drying out and consequently flaking. Other moisturizers have been either too light, or so greasy I end up breaking out. This moisturizer is the most awesome moisturizer I've ever purchased, I actually like the smell, very light flowery, fresh scent. I wash my face in the shower every night, apply moisturizer before going to bed, and before heading out in the mornings. So far I have never had the need to reapply throughout the day. I definitely recommend this product! The nicest smelling moisturiser I have tried. Doesn't feel greasy , on the pricey side though! However it is my favourite and I will be repurchasing. I'd been using Dear John for a few years and just recently ran out. I knew that it had been pulled, so I had been looking to see what Benefit came up with. When I saw this product I was SO excited! Dear John was the only moisturizer that didn't cause breakouts or rashes, so I was looking forward to trying the new formulation. I've been using this product for a few days now and I'm sad to say that I have rashes all over my cheeks. Honestly, I'm not mad, just really disappointed! I wanted so badly to love this new moisturizer. I will say that I (and my husband ;) ) love the scent! So, try as I might to fall in love with it, I can't. I don't think rashes are going to be in style anytime soon. And I would say if you have sensitive skin you might want to shy away from this product. I got this as a sample. A very big sample I must say! The smell I don't like at all. I only use it around the dry area around the nose because it does not work for the rest of my face. Not enough moisture for my skin. This is a TRUE Moisturizer! This moisturizer is actually absorbed by the skin and makes your skin feel and look healthy! It doesn't sit on top of your skin like other creams do (Ahem, Clinique!). The plus is that its long lasting! I got a sample with my last order, I use it almost everyday (it's been a month 1/2) and I still have! Its incredible! Absolutely amazing moisturiser! I used to have massive problems as soon as winter arrived and my face would feel really tight and red .. this cream is like some sort of miracle potion! Recommend it to EVERYONE! The best face cream around! I have really dry skin and didn't really find any moisturizer to suit me, many of them go on too greasy or don't work at all. However, I really love this product because all though it looks thick, it goes on nicely and you only need a little bit to cover the full face which means it lasts for ages! I originally purchased it as part of a set but have now bought the big one - definitely worth the money and it hydrates all day. The best moisturizer i have ever used! I have incredibly dry, flakey skin on my face next to my nose, and I am always trying to find a moisturizer that will smooth my skin. Different product have worked, but only for a few hours, and its impossible to try to wear makeup because it will just dry out my skin again. This moisturizer, however, works wonders! It is so creamy and perfect and it smells AMAZING. Also, I applied the Oxygen Wow makeup on top of it and it looks great, don't know if thats the moisturizer, the makeup, or both. 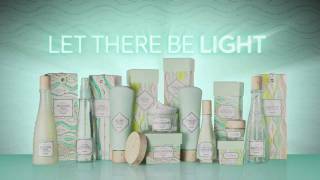 Needless to say, Benefit Cosmetics works wonders, and I would highly recomend all of their products! This moisturiser makes me look rested, refreshed and awake! I couldn't ask for more. My skin feels super moisturised and looks noticeably brighter. With most moisturisers I find I need to apply two coats even though my skin is very rarely 'dry'. With Total Moisture I don't. A tiny amount makes me look gorgeous - I've even stopped wearing foundation! First off, I got a sample of this product with my online purchase, and it was so awesome I had to buy the full size. I'm VERY picky with my moisturizer, mostly because I have very dry and sensitive skin, and also because I hate putting drugstore stuff on my face. So I was iffy about trying it. It's scented, and thats usually a red flag for me since fragrance irritates my skin. Amazingly enough, it did not irritate my skin at all! It actually soothed the redness and moisturized my entire complexion after using a fingertip of product! I've been using this moisturizer for about a week now, and its absolutely brilliant. My skin is smoother than ever, no longer red and flaky, and my pores are nearly invisible. Don't hesitate to buy this product, its Benefit at its best. Just like it says in the description, this is for people with normal to dry skin. I actually have normal to oily skin, but I thought I'd try this when I got a sample of it. First of all, it is most definitely moisturizing, no question about that! The effects are immediate and it hydrates for the whole day! If you have dry skin, I'm sure this will work lovely on you! As for me, it looks extremely oily on my face - not good. My cheeks are super shiny and there's no way I would be able to wear foundation over this. I waited a little while to see if it would matte a bit but it didn't. A disclaimer though, this isn't a review to put this product down. I am just hoping that if any normal to dry skinned ladies are on the fence about this product, that this review will help them with their decision. On a universal note though, it smells lovely! I received this product as a deluxe mini and I am considering buying the larger version. It works better than I expected it to. I apply it after using my fave facial srub and its really refreshing. The smell is awesome too. My skin isn't extremely dry, but I use this product to keep my skin looking healthy. In the mornings, I apply this before I use "that gal" which makes my makeup look even better. I received it as a deluxe sample, twice, and at first I wasn't sure about the smell but it's growing on me. It's creamy and blends well and a little goes a long way. If you're looking for a product that fits easily in the purse then the deluxe samples are great, I actually wish they sold them that way but I don't think they do. It works well for my chapped skin around my mouth and T-zone. I've been using it in the spring/summer months so the true test will come in the winter when the weathers much colder here in Ohio. I would purchase this product again. My goal is to try everything from Benefit at least once - just wish it was a little less pricy. I ve been reading quite a while about Benefit products and decided to buy some items just yesterday. This cream is one of them, after just two applications I noticed that my skin is in such a much better condition. I don't have any skin problems at all but now my face is just perfect. I still feel my skin well hydrated even after 12 hours, nice in tauch and what elso to say... Looking for good facial cream just buy this one!!! I put this on at night before I go to bed and it mosturizes really well overnight! Absolutly the best rich moisturizer for the price! I love La Mer, but can't afford it. This comes pretty darn close, and smells yummy. I purchased the total moisture facial cream yesterday and after only one application I am totally amazed by the results. I have suffered from dry skin and clogged pores which have made me feel anxious about my skin for years. Now my skin looks clear and refreshed. I can not believe the difference and just want to say thank you for this great product. Does exactly what it says on the jar!! Fabulous!! Banishes dry skin and acts as the perfect base to apply make up! I was in the market for a very gentle, retinol-free product, because I have youthful skin that just needs hydration, not anti-aging agents, which can be tough on younger skin. However, when I found the product that I wanted, it was $86 for a bottle with the same amount of product as Total Moisture. I politely declined and, as always, rushed off to the Benefit Boutique. I have owned this for about 4 days now, and used it nightly after my skin care routine. I put it onto my clean face after a spritz of hydrating mist. It's so great! Total Moisture is super thick and creamy, and a little goes a long, long way. In fact just what was on the protective cap under the lid was enough to last me two days. I think it'll be a while before I run out. The packaging is nice if a little heavy, it is all glass. The top surprised me because the website's pictures make it look like cork. It's really just plastic with cork print. All in all it has softened my skin unbelievably, and I look forward to my nightly skin care routine because of it! I'd heard that this cream was incredibly thick so I was a little apprehensive at first. However, I found that it was perfect for me. I do not have particularly dry skin but I had no problems with the product sinking in. It certainly didn't make me look oily at all. A little goes a very long way so be careful not to use too much. As it is so thick, it is a little bit more effort to apply but this is no real hassle. It is quite heavily scented. I think it smells lovely but it may be something to be wary of if you have sensitive skin. Overall, a lovely moisturiser that I am very glad I tried for myself. I've finally found a moisturiser to wear at night that leaves me with fresh, non-greasy skin when I wake up in the morning. Hooray! I received a sample of this at a Benefit counter as I'd been reluctant to commit to a whole jar. Well, I've just bought one full size. It's feels and smells lovely, is absorbed easily and leaves my skin feeling fresh and hydrated. Many reason why this light weight formula its productive i, protects my skin giving a natural glowing look, also keeps it hydrated .. I Love this moisturizer!!! I'm an Accutane patient, if you don't know what that is, its a drug that is meant to get rid of acne by essentially changing the way your body produces oil. Honestly, it stops your body from producing oil. AKA, dries you from the inside out. I got this because my face was quite literally flaking off. I've been using this morning and night every day for a little over a week, almost 2 I think and no more flaking. You only need a little bit, I tap my finger on the top and use whatever I pick up which usually gets half my face done and then finish up the other half. It smells AMAZING and is super moisturizing. Considering how sensitive my skin is because of the drug, it has never burned or made me itchy. I was skeptical because it was so expensive and I'm on a college budget but its absolutely worth the investment. I have extremely dry skin, yesterday I tried to find a new foundation but the lady could hardly match me because my skin was so incredibly dry. She recommend Benefit Total Moisture and I am so happy! This is the first cream that seems to really quench my skin. Great product! That's right, John, it's over between us. You know why? I've met someone else, and it's name is Total Moisture. He isn't as heavy and over-bearing as you were. He smells better. He's even in a nicer package. I've moved on with my skincare routine, and made the ultimate upgrade. Since you've gone my skin is brighter, and feels so wonderful. This moisturizer smells great -- it's a delight to put on every morning. I was disappointed when Benefit phased out their Dear John moisturizer, because that had been a skincare staple for me, but they replaced it with an even better moisturizer than before! It's light enough that it doesn't leave my skin oily, but keeps my skin soft for the entire day. I can't say how much I love this moisturizer! lovely fresh smell. Illuminating, fresh feeling to my skin. A tiny bit goes a long long way and you get loads in the jar. Cute packaging too! I bought this on recommendation of staff at a counter - I've tried so many moisturisers for my VERY dry skin that I thought "Maybe you DO get what you pay for" and thought it'd be best to try it. Unfortunately the staff didn't really talk about what I later found out on external websites - that moisturiser is best put on wet skin to lock in moisture rather than straight on dry skin. I put it on after washing my face in the morning and it is a great base before brushing BeneFit Playstick on. It smells sooo good you will want to eat it. Just a little bit will go a very long way and it has a very dewy feeling that you know is working! I have used it for a month and am only 1/4 a way through the pot. Packaging is cute, very environmentally-concious with the glass pot. I would definitely recommend Total Moisture but not sure if I can afford it forever! I love this moisturizer. It's thick enough that my face feels amazing, but not too thick so that it clogs my pores. It smells awesome. The packaging is too cute for words. My sister has really sensitive skin but uses it too without any issue. Amazing, leaves skin silky smooth and healthy looking! I just started a Retin A prescription from my dermatologist, so this is PERFECT for skin that is dry while getting used to the Retin A. I found it at Sephora, and it was the first product they recommended. The smell is fresh and long lasting! It also comes in beautiful sealed packaging! I prefer this over the Clinique moisture surge now! I've tried so many night creams to get my combination skin under control. In some spots my skin is oily but in others it gets really dry. I love this cream because it gives me all the hydration I need for my dry spots, but it's non oily and doesn't make me break out either. I've been using this after cleansing before bed for over a month now, and my complexion looks great. This really helps my skin recharge overnight so it looks glowing and gorgeous in the morning. With extended use, I've found that my skin tone is more even overall, and I'm getting fewer breakouts than I do with many other moisturizing night creams. This cream smooths and softens my complexion as well as making it brighter, so my foundation is much easier to apply in the morning and it looks better too. This cream has a nice fresh smell. It glides on smoothly and is very easy to apply. It is expensive, but this is a very good size container for the money, and a little of this product goes a long way. Actually, you kind of have to be careful not to use too much of this product or it can feel a little greasy. But if you use it right, the results are completey worth the price, so I know I'll buy this again. I don't have a single complaint about this product, and I would certainly recommend it to anyone with normal or combination skin. I'm planning to try more of these Benefit skincare products since this one works so well for me! I absolutely fell in LOVE with this moisturizer! I use it at night before bed and it keeps my face super moisturized all the next day. I wouldn't suggest using it right before you put on makeup, it does take a little while to absorb, but it works so well. On top of that, I haven't had any breakouts since I started using this with the toner. Worth every penny! I work in a climate-controlled airport so the air is extremely dry. So was my skin. Until I started using this cream. My skin is soft and flexible and it doesn't pull when I smile. Because of this my make-up also looks better. After years of looking for the right skincare, I have finally found it. Is it soft supple skin you want? The packaging caught my eye. I have very very dry skin. This is the first time a product gave me what it promised. Beautiful supple soft skin. I have purchased other product which was very expensive and did not live up to my expectation..
Got a free Sample and LOVED it!! I have combination skin and it's soooo hard to find a good moisturizer. I've been reading reveiws on Creme de la mer which goes for about $135 and I was going to shell out the money cause I was desperate to find something that works. I went to Ulta to buy some beauty products and I bought a benefit concealer which came with a free sample. I am SO happy I found this cream! After only 2 days I see huge results! This has saved me so much money and it has been added to my MUST HAVE list!! hope this helps someone! It may say oil free, but that is certainly Not what it promises. Not only is it oily, but it makes my eyes run if it is anywhere near them. I feel like I have to wipe my face in order to put Any make-up on, and then my skin is dry again. What's the point in that?! Sadly, this product isn't moisterizing but irritating and greasy. I L.O.V.E. this cream!! It's super creamy - but doesn't feel sticky and absorbs pretty quickly. NOTHING worked for me to help my dry patches, and they were nonexistent after the very first time I tried this!!! I wouldn't recommend it directly underneath liquid foundation, as it tends to allow for a wet-looking shine that is hard to tame - even with powder on top. But otherwise, on a non-makeup day, or especially before bed - it does EXACTLY what it says it will - it HYDRATES!!!! Love it! Great as a night cream...a little heavy for me during the day, but put it on at night and wake up to smooth skin! LOVE, LOVE, LOVE! Only used a few days & my skin is so soft already! i have slightly dry skin and this cream really works with that. i don't apply too much but it's so rich you don't need to! and it smells sooo fresh and amazing leaving skin soft and supple and a great foundation for your make up! This product isn't for sale in the stores yet but I received a sample. I am a fan of dear john moisturizer and I'm very sad that it's being replaced. This moisturizer is $6 more a jar and not as good. It burned my eyes which dear john did not do. If it's more money and replacing an existing product, shouldn't it be better? What will it take to get dear john back? This is rich and creamy and makes your skin just GLOW!!! I would have benefited more from this in the Wintertime. My skin was so dry and flakey. Now that the weather is warm up, it's less dry and my t-zone is oily. This is really moisturizing and nice. However, it's a bit too rich for everyday use for me. It's a nice night cream for dry skin. I really like it. I used it before foundation and it make my foundation go on a lot smoother. Highly recommend. Perfect Hydrating Moisturizer for Dry Skin!!! I love love love this new cream. You would think it's similar to the Dear John, but it smells so much better and has many more great ingredients! Is this more of a night cream? I was told by a Ulta sales girl that the total moisture is to use at night and the moisturizer with spf is for the day. I love the one I bought for day and would love to try this one at night. Not sure if its needed? This product could make your face oily if you use too much. This is a very rich & creamy texture thus a very little can take you a long way and gives you the right amount of moisture you need. Is the Total Moisture Facial Cream free of animal derived ingredients? I would like yo know if there are any ingredients in the Total Moisture Facial Cream that are animal derived. What source is Glycerin and other ingredients. Total Moisture Facial Cream, refined finish facial polish and foamingly clean facial wash do not contain Parabens. Will it irritate my skin? I've gone through numerous face cream from high end to low brand names, and I got a sample of this face cream and like all the others it worked. But this cream I feel it's a lot more different where even a little amount helps my dryness (from acne pills and cream). Mostly my creams have been fragrance free and natural. I guess my question mostly is since I only had a sample size will the fragrance and other ingredients react to my skin (from previous experience: rashes and chemical burn) before I buy a whole container. I really like it and what it does for my face, I guess I'm just a little bit nervous. If you were happy with the sample the full size should work the same way ( you should have reacted with the sample if you were allergic) The fragrance of this cream is mild and quite pleasant. Benefit products are not developed specifically on sensitive skin. If you are interested in any of the products Benefit offers, please take the ingredient listing from the product of choice to your dermatologist to determine if a product is suitable for your skin type. Additionally, you can try a ‘self’ patch test on a small section of skin by applying the product onto the inside of one elbow and leaving it on for 24 hours. If an adverse reaction occurs, wash area thoroughly and discontinue use of the product. does this cream have spf? Total Moisture is great for dry skin, and can be used morning and/or night. It doesn't include sun protection, so I'd recommend using our Triple Performing Facial Emulsion during the day. How much do you apply each day to keep your face moisturized? How much of this moisturizer would I need to apply each day to keep my face moisturized, in the dry California weather? Not very much! Just a dip of your finger into the jar, and dab it onto the places that need it most, then rub onto your whole face. A little goes a very long way, and it will keep you moisturized all day. About the size of a pea, is more then enough. Not that much, this product is really moisturizing and a little goes a long way! I have a little sample that came in a skincare set that I got and it has lasted me 5 weeks. Plus, I HAD (no longer have to say have haha) dry spots on my nose and cheeks and this moisturizer made them vanish! It could depend on : 1. Your skin type and what it really needs as far as moisture is concerned. 2. How dry California weather actually is. Regarding the first topic, if your skin is dry, using Total Moisture by day and by night, in terms of beauty routine, would be enough. If it is combination, you could try using Triple Performing by day and a chickpea (as a moisturizer, it is very rich) of Total Moisture by night, and if it is oily, I'd recommend Triple Performing by day and by night. If you feel some dryness during the day, whatever your skin type may be, because of the second topic, you could always try sprinkling some ultra radiance all over your face. Everyone's different. Just start out with a pea sized amount, and add more if necessary. Triple performing facial emulsion or total moisture? I have dry skin - really dry in the winter - and quite sensitive skin. Would you recommend total moisture or the triple performing facial emulsion? I have dry and VERY sensitive skin but this product is great, doesn't irritate or cause any redness - I would recommend. I would definitely recommend total moisture! I have really dry skin as well and this is a product from the gods! When I started using this my dry skin quickly went away and when I ran out it came back so you SERIOUSLY have to get this. It is also worth the price and a little goes a long way too! I got a lil sample in a skincare set and it lasted me 5 weeks so I am thinking the larger one will last like 3-4 months depending on how much you apply but like I said you don't need to use much for your face. The Triple Performing Facial Emulsion is really moisturizing as well. I usually dab a lil of this on after I have applied the Total Moisture when I wake up. It is pretty moisturizing as well but tends to have a tiny bit of stickiness to it but I think that is due to the spf in it, but other than that I really liked it. Hope this helped you! Yes! i have tried both of these products and they are winners! they are super moisturising and make my skin feel amazing, however if you have sensitive skin it might be a good idea to check the ingredients list to see if there is anything that would irritate your skin. For me this product feels great on my skin and i have not had any irritations. Combination skin yes or no? I have combination skin and find that this cream works well for me. Yes! My skin is a combo of all skin types, and this solves all my problems! Especially combined with porefessional, seriously I couldn't go without the two. YES I have the same skin type and add getting older. But always happy with it. I have combination skin, but what I do is use Triple Performing by day and leave Total Moisture for the night, applying less amount of it. Hope this helps! Hi, form my experience with this product it has not blocked my pores or caused any acne i have to worsen, generally from my experience if you have problems with your skin a non-comedogenic moisturiser will neither help nor make the problem worse, i do find it very moisturising so if you have very very oily skin you may not like it. i dont know if its non-comedogenic but this is just my experience with it. It doesn't block my pores and makes them less visable. I would recommend it if you have clogged pores. I had these for years, after using this after one day they were gone! While I can't decipher the ingredient list into what would make it occlusive, from my own point of view, Total Moisture facial cream is extremely light, and extremely non-greasy. As a thought, I think of comedogenic products like butters, vaseline etc - so heavy stuff that sits on your skin. Total Moisture cream couldn't be further from that! Much more like a lotion, but with the added benefit of a dewy, glowing look! Sorry I couldn't give you a more conclusive answer! Benefit does not test for or claim that our products are hypo-allergenic (least likely to cause an allergic reaction) or non-comedogenic (does not cause pimples & blackheads). If you have a specific allergy, please review the ingredients on the product page online to determine if a product is suitable for your skin. Oily skin: Yes or No? I have an oily/combination skin, so does this cream make my skin oilier? Because it isn't oil-free after all. If you have this moisturizer, use it at night, and remember not to apply too much of it. I have oily skin too. It has worked well for me. I have VERY dry skin so I can't be 100% sure but it does not feel greasy or like it would make you oilier at all. Its just a very rich moisturizer. Total Moisture is oil-free and is best for normal to dry skin. You may want to try our SPF15 PA++ Triple Performing facial emulsion. It's lighter and oil-free. I use it after I wash my face in the morning and I find that it leaves me nice and moisturized for the day. It does awesome things for my skin. I wash my face, use this, then put on my makeup. Not at all. I am using it day and night for my dry skin. It can be used for either or... i like it as a day cream if your incredibly dry, the mango butter in it is awesome. else wise i do prefer it as a night cream or again if your skin is really dry put it on as a face mask and let it soak in for about 5 minutes then wipe off the access.